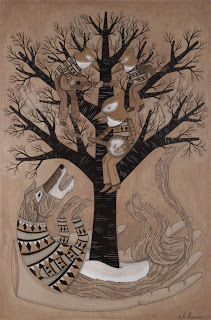 Portland, Oregon Folk Artist, Evan B Harris created this interesting, seasonally appropriate, long-dog painting. Visit here to view more of his interesting works. 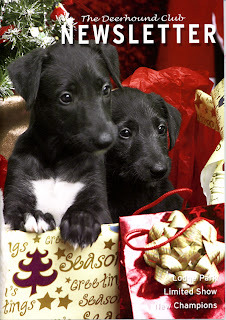 Long before the arrival of Christianity in Scotland we deerhounds did our part in providing for the winter feast and enjoyed the seasonal exchange of gifts to tide kin and clan through the winter months. 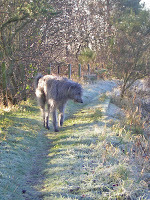 And to continue this spirit of giving on this day, whatever your belief, Rogue thought that it would be of great interest to deerhound fans to point them in the direction of Deerstalking in the Scottish Highlands by William Scrope Esquire. 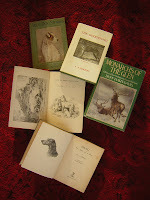 A book illustrated by Sir Edwin and Charles Landseer and authored by a Landed English gentleman William Scrope, observer and participant to the hunt in the Highlands. Scrope was introduced to the Duke of Athol by two self written letters of request and on second attempt, supplemented with a letter of comendation from Sir Walter Scott. 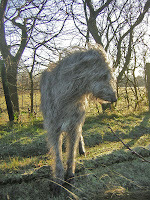 He went on to produce the book which is highly prized by deerhound owners and can be downloaded in pdf format from the American Libraries for free. 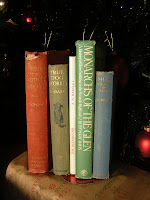 And in the words of George H. Lewes ‘All good Literature rests primarily on insight’. Follow the link above and enjoy seasons best wishes from Rogue on this Christmas Day. 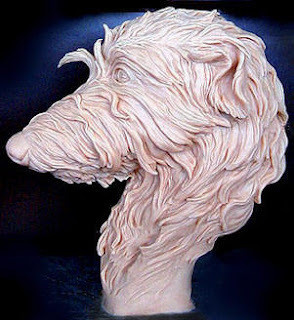 Looking to have your household hound worked into a sculpture. It may be a little late for Christmas but check out the wonderful bust in the accompanying image here. produced by Paula Slater for Louise Kehoe. And here is what Louise had to say of it . . . I agree that this is a superb piece of work. If you contact Paula, don’t forget to tell her that Rogue lead you here - oh and if Paula ever want’s to find out more about faeries fetch her to the Scottish Highlands.